You’ve hopefully discovered the advantages Pinterest has for your business. Whether you sell specialty products, food items, fitness equipment or homemade items, there’s a market of users ready to save the ideas you post and put them to work in their own lives. Pinterest has helped small businesses grow due to its innate capabilities. With 70 million users and five million daily pins, the possibility that a business – especially a small business teeming with creativity – could go viral is astonishing. With the announcement of a new feature called Place Pins, small businesses now possess a way to stand out, especially locally. Place Pins allows Pinterest users to share local pins with their followers by creating local boards and destination boards. The new feature includes extra details including addresses and phone numbers, so Pinterest users can easily get directions or contact businesses for information. To create a Place Pin board, business owners can “Add a Map” to a specific board or edit an existing board to include the feature. When pinning an item, select the red plus button on the right side of the image you’d like to include on the map. Then simply type in the address and phone number of your business so those who repin the post will have access to the valuable information. There’s nothing better than being a trusted information source, especially on information regarding your business’ hometown. By setting up a guide to your town, you’ll be able to attract other local businesses while highlighting what you have to offer. Visitors will have access to the latest pins, and they’ll learn more about the businesses and attractions that surround you, making it more likely that you’ll be one of their stops. Share the link across all social media accounts and on your webpage to increase the likelihood of social sharing and increased visibility. The best way to showcase your business is to show real photos and examples of what you have to offer. Think about your latest projects: now is the time to show them off. Renewal by Anderson did this by creating a page to highlight the projects and installations they created for local customers. By using the maps feature, the company was able to demonstrate their reach while showing real, measurable value. It’s no secret that certain demographics are more attracted to social media than others, even though the phenomenon is widespread. Think about your target market. What attracts them? What would increase their interest in your local business? Is it a listing of events that’s easy to find? Maybe it’s where certain products are found. Regardless, use Place Pins to make the navigation process simple while attracting more interest than the competition. Shippensburg University in Pennsylvania uses Place Pins to attract potential students and to keep current students involved in university activities with their Residential Life board. Place Pins don’t have to be a single-business endeavor. Instead, multiple businesses can connect by enabling multiple users to pin items related to their own stores, services and products. 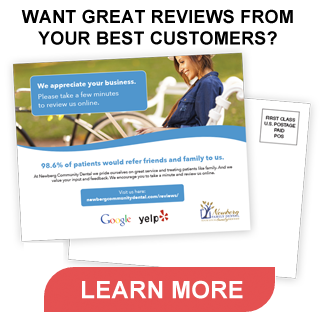 They can also share reviews to enhance customer experiences. Increased traffic is more likely when local businesses collaborate. Think about ways to share posts related to specific themes and encourage local businesses to pin information regularly for best results. Get creative with your pinning for best results. Taking advantage of Place Pins is a great way to put your local business on the map while standing out among the competition.